Those of us that travel on the western side of Cary are seeing a lot of road work at intersections along Morrisville Parkway. And more are coming. 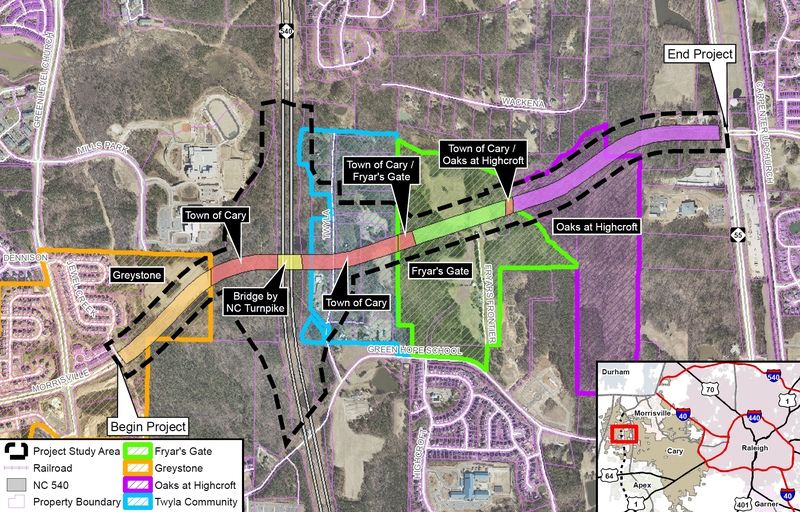 Town of Cary staff and consultants have been working to get the planning and design in place for the completion of the final segment of Morrisville Parkway between NC55 and Green Level Church Road. 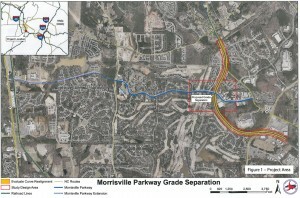 The developments on both ends of that segment of road are helping to expedite the construction – and will have nearly half of the length completed by summer of 2014. 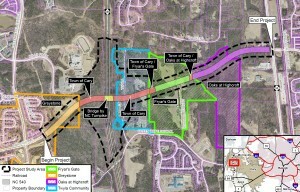 The developers along Morrisville Parkway at Fryar Gate will build another 1,000 feet of this area over the next 18 months, leaving only the connections to the existing NC 540 bridge. The last ½ mile segment at the interchange has cleared a number of major environmental hurdles before going to the Federal Highway Administration for final review and approval. Construction is targeted for mid to late 2015. 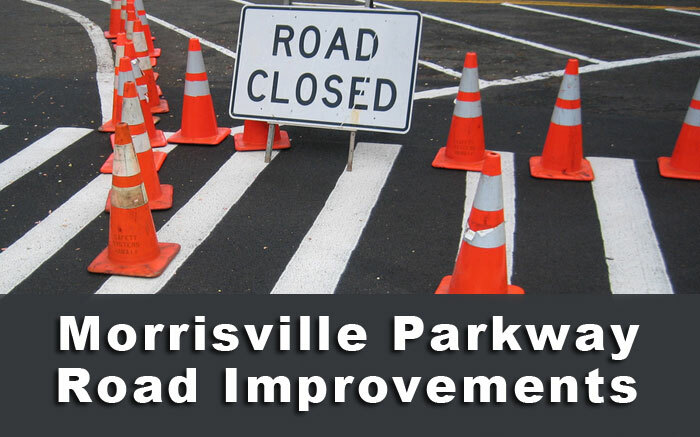 Starting in April, the Morrisville Parkway/NC Railroad Grade Separation Project near Park West is planned to begin, with a scheduled completion date for May 2017. 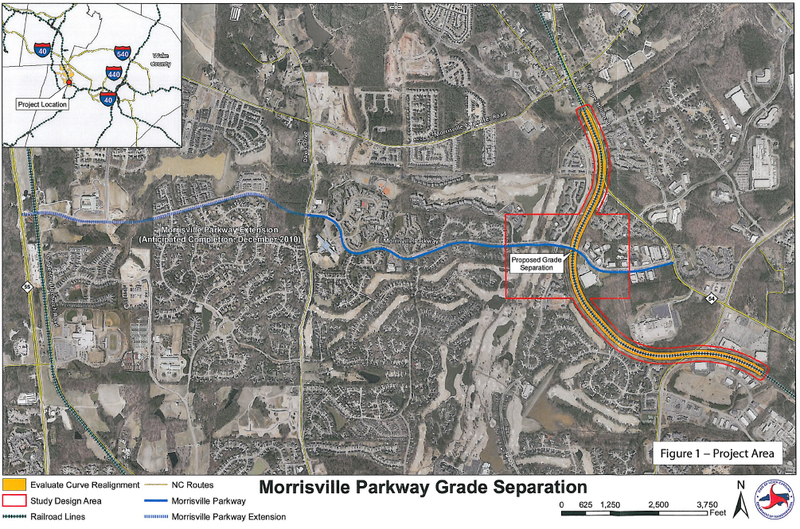 The grade separation project will eliminate the at-grade crossing that is currently on Morrisville Parkway, just past Crabtree Crossing Drive in the Morrisville/Cary area. This will be done by building a bridge over the Morrisville Parkway, separating the vehicular road traffic from the rail traffic, sending cars underneath the railroad tracks. The project is part of a larger project to “double track” portions of the NC Rail Road corridor between Raleigh and Charlotte.